KIDS WELCOME! 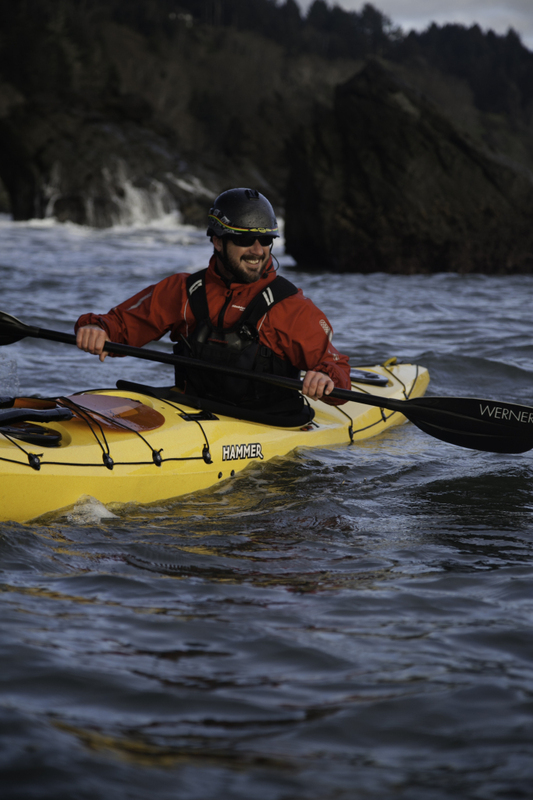 TRINIDAD BAY KAYAK TOURS - WHALES & WILDLIFE - BIG LAGOON KAYAK TOUR - KAYAK & PADDLEBOARD RENTALS - KIDS CAMPS! - PADDLEBOARD (SUP) FITNESS CLASSES - SEA KAYAK INSTRUCTION & ROLLING - HANDLINE KAYAK FISHING Private Instruction, Group Lessons, Guided Tours [email protected] Welcome to Kayak Trinidad! Humboldt County's premiere paddle sports instruction & guiding center based in the beautiful seaside village of Trinidad, California. Nestled at the gateway to the California Coastal National Monument along the rugged redwood coast, Trinidad offers up some of the most spectacular coastal paddling in the world. Whether you're new to ocean paddling or a salty veteran, Kayak Trinidad offers a variety of options for all levels of paddler. From beginner friendly lessons and whale & wildlife tours of Trinidad Bay to advanced instruction & coastal exploration, we can help you achieve your goals. With over ten years of experience coaching and guiding under our belt, you can rest assured your safety and enjoyment is our primary objective. Check out our list of classes and tours, and come and see for yourself what makes paddling Trinidad so special. See and hear soothing ocean sounds and birds calling while you learn how to move your body out of pain and into a place of strength, balance, and proper function. The serenity of the water and the fresh air invigorates and revitalizes. Learn new fitness tools to feel great. Refresh, revive and rejuvenate in these beautiful settings. Move better, stand taller, breathe deeper, fight back against pain and gravity! 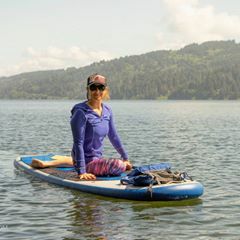 Fitness Fusion Classes available on land and on paddleboards. 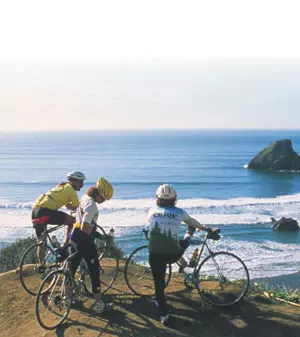 Humboldt County on the north coast of California is cycling paradise with miles of scenic backroads waiting for your exploration. Location: Miles of paradise to explore! 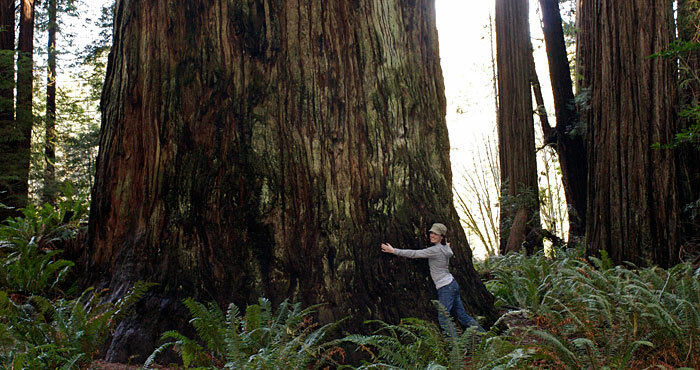 Myriad experiences exist for the vacationer seeking to visit the majestic redwoods of the north coast. A great place to start is Redwood National Park, a short drive north of Trinidad. Most visitors know Redwood National and State Parks as home to the world's tallest trees, icons that inspire visions of mist-laden primeval forests bordering crystal-clear streams. The parks also protect vast prairies, oak woodlands, and nearly 40 miles of wild coastline, all of which support a rich mosaic of wildlife diversity and cultural traditions. Location: Roughly 50 miles long, the parklands stretch from near the Oregon border in the north to the Redwood Creek watershed southeast of Orick, Calif.
Trinidad Head, a commanding, 362-foot high promontory, is the commanding backdrop of the town of Trinidad, a picturesque harbor and a historic lighthouse. Sitka spruce-spiked Elk Head, located just north of Trinidad, is more of a secret, its scenic trails used mainly by locals. Location: Directions to trailhead: From Highway 101, take the Trinidad exit and drive 0.25 mile west through town to Stagecoach Road. Turn right (north) and pull into the main Trinidad State Beach parking area on the left. 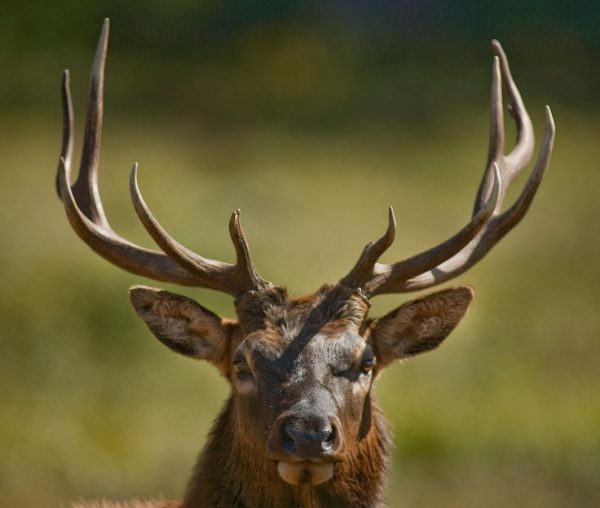 Elk Head access is located another 0.75 mile up Stagecoach Road. 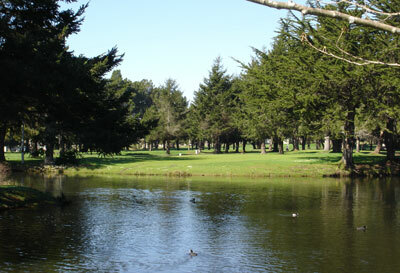 The Pacific coastline provides a spectacular landscape for this challenging 18 hole championship golf course. Pine and spruce trees line most of the fairways on both the mountainous and meadow portions of this course requiring precision placement shots. Water comes into play on nine holes and sand traps are strategically placed. The view of the ponds, lush fairways and the Pacific Ocean from the elevated golf holes make Beau Pre an esthetically pleasing course to play in addition to testing your golf skills. 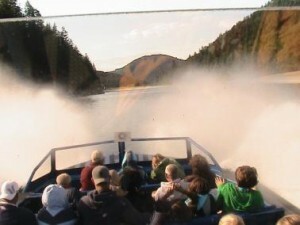 Klamath River Jet Boat Tours invites you to join us on one of our daily fun-for-all tours up the famous Klamath River. Our experienced captain and narrator will describe the River's rich history, local Native American culture, and thriving wildlife. The great outdoors inspired us to create an environmentally conscious rafting company that revloves around the guest. Based out of Willow Creek, Ca. we provide organized trips on the Trinity and Klamath Rivers. We provide the most experienced guides, delicious local organic food on a full day and overnight trips, farm to Table- on the River dinner trips, raft rentals, kayak rentals, SUP rentals., and kayak workshop for paddlers. northern California whitewater rafting are perfect for families, adventure seekers, and nature lovers of all ages and levels. 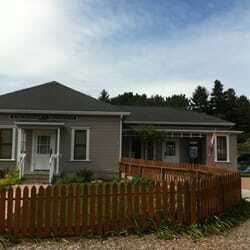 In the Heart of Redwoods Looking for the perfect family vacation, romantic holiday, wedding, or corporate retreat? 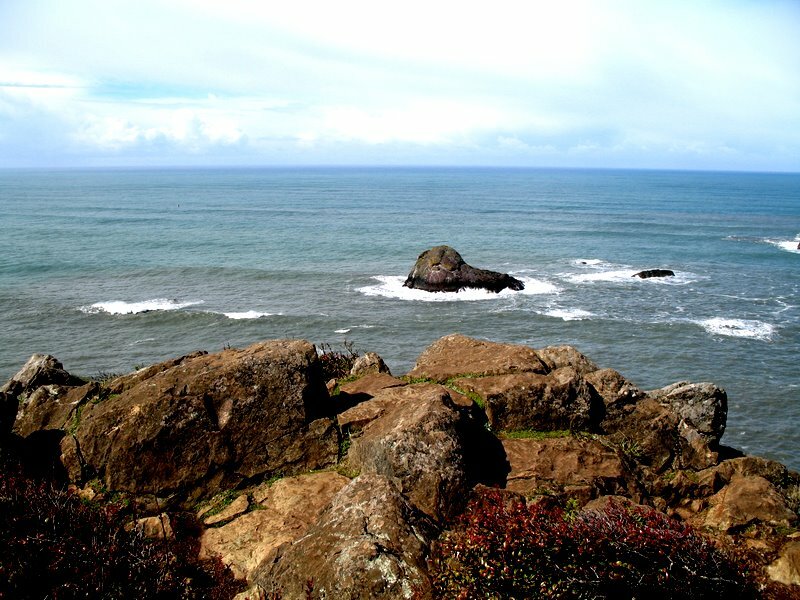 We are conveniently located in the middle of Redwood National Park, Fern Canyon, Prairie Creek State Park, beaches, and just a few minutes from world famous Lady Bird Johnson Grove. 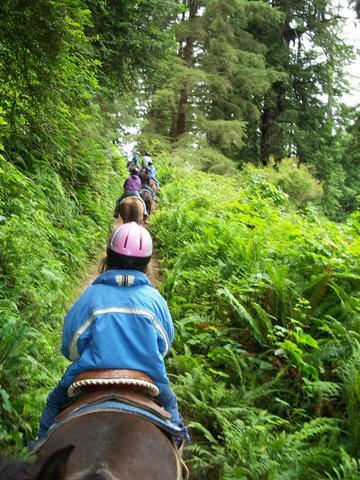 At the Cabins we offer guided tours - Redwood Adventures - that will help you learn about the mysteries of the Redwoods, the tallest and oldest trees in the world. Located off Main Street and Patrick's Point Drive at the entry way to the charming coastal village of Trinidad, is a newly rehabilitated circa 1899-1900 Victorian Italianate bungalow.Trinidad's rich cultural and natural history, with emphasis on Tsurai Village, Yurok traditions, European contact, the Gold Rush, whaling, fishing, shipping, logging, transportation, Trinidad Head light house, and commerce, will be told in a Trinidad home which is an historic exhibit itself.